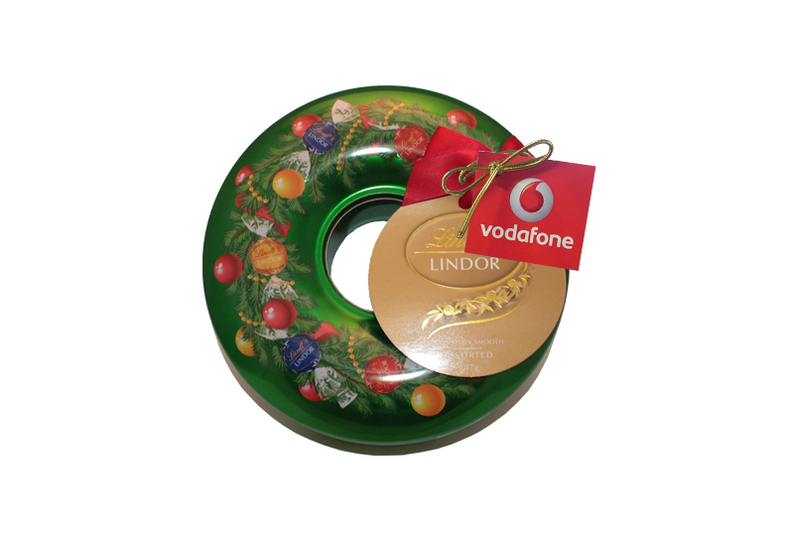 The custom promotional Lindt Assorted Chocolate Christmas Wreath Tin is a mighty marketing giveaway. With Christmas slowly creeping up on us, it’s easy to lose track of time from all the holiday activities. One can even run out of time packing tons of gifts for loved ones. We at Fast Confectionery has got you covered. 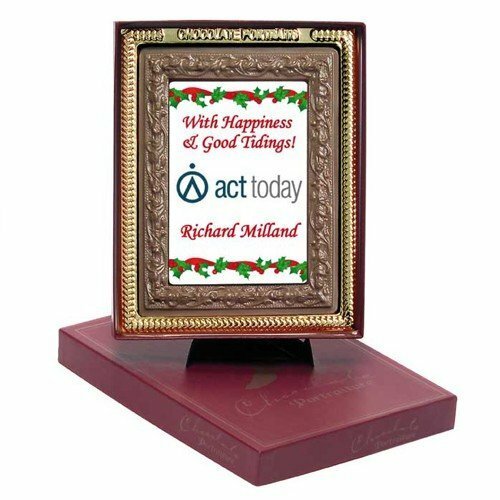 In fact our personalised Lindt Assorted Small Christmas Wreath Tin is in itself an elegant tin container ready to be handed out as a gift or placed under the Christmas tree. Our personalised Lindt Assorted Small Christmas Wreath Tin is one sought after gift idea mainly due to its stylish look in the form of a tin Christmas wreath filled with only the best chocolates from Lindt. The tin guarantees that the Lindt chocolate stays fresh and luxurious tasting long after Christmas is over. So it is truly a smart choice for a gift. It comes with a full colour label sized 50mm x 25mm or 38mm that you yourself can design with a brand or company logo, or if you’re being festive this Christmas can also be a Christmas greeting. Lindt is one of the world’s most favorite chocolates due to its world class flavour and rich chocolatey goodness. We do, in fact, have a selection of their chocolates all ready to be customised with your personal brand. One such item to consider is our custom Lindt Bunny 20 gram Organza Bag. An exquisite tasting Lindt chocolate bunny that’s already prepackaged in organza, so gift wrapping will no longer be a worry. Just order them up and we’ll deliver them straight to your doorsteps like Santa. Still needing some suggestions? Put your thinking cap on and decide now which among our bountiful sweets can be part of your Christmas list. Better yet, put your personalised Brushed Cotton Chino Cap on and make that decision. Our jaunty team at 1300 008 300 will be all smiles providing you with excellent customer service.